The cover for the game. Art by Jari Paananen, design by Tommi Kovala. Age of the Tempest – Sword of the High King is an exciting adventure role playing game, in which brave outlaws battle against the troops of the evil emperor, Zangavius. It’s entry-level so if you’ve never roleplayed before, Age of the Tempest is a perfect place to start! 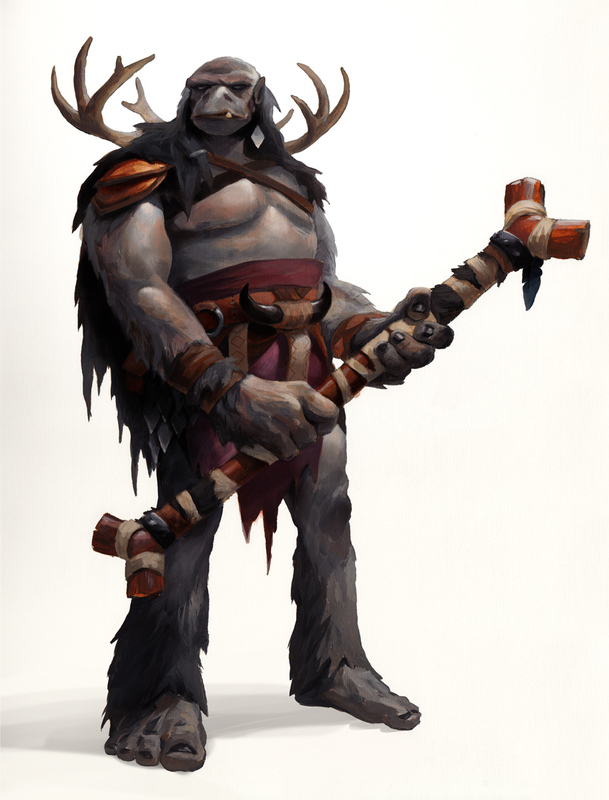 If you’ve been looking for a fantasy game to introduce to your kids to gaming with, this is it. Your land is overtaken by an evil witch emperor. You will not stand for it! 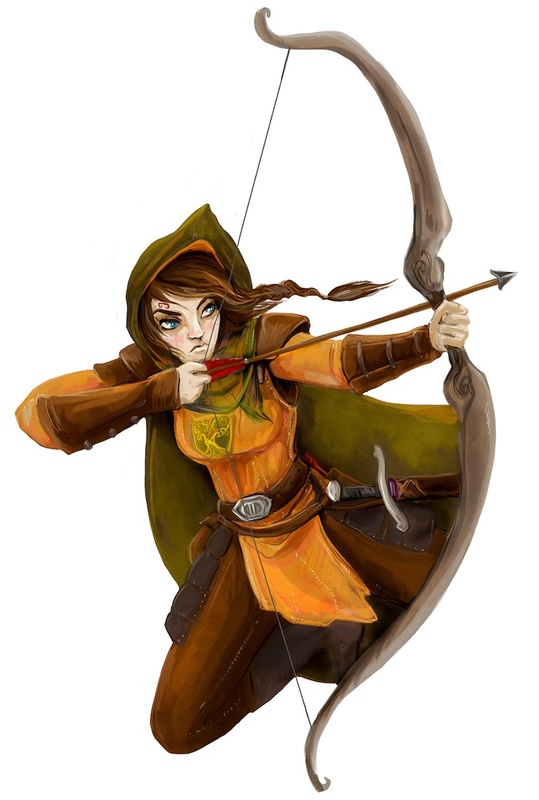 You join a group of rebels in Smokewood Forest, led by the brave knight Thelga Nettlebolt. You take on the role of a clever princess, an honorable knight, a lowly swineherd, or a wise witch. All of them, and many more, will join the rebel Greenhoods, and have grand adventures fighting for justice. With Thelga and her Greenhoods, you explore ruined temples, battle monsters, discover magic, and solve riddles. Your task is clear: to find the Sword of the High King so you can stop the emperor’s evil magic. On the way, you encounter and interact with iconic villains, surprising allies, suspicious scoundrels, and many other strange creatures and memorable characters. There are nine character classes in the game. They are illustrated by Jari Paananen. 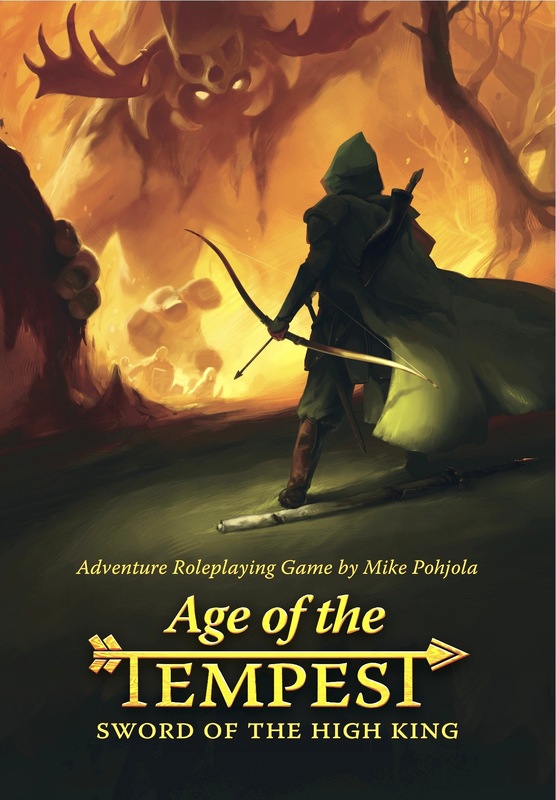 Mike Pohjola, the creator of Age of the Tempest is a fantasy novelist and game designer. He has won the Golden Dragon lifetime award for long-term achievements in the field of roleplaying in 2010, the YA book award Luku-Varkaus in 2009 and an Interactive Emmy Award in 2008. Pohjola started his roleplaying journey in the boy scouts back in 1988, and he now wants to bring it to the reach of the new generation. Leader of the Greenhoods, Thelga Nettlebolt. Art by Pau Norontaus. Age of the Tempest – Sword of the High King begun in the summer of 2012 with a crowdfunding campaign, in which 285 people gathered funds to design and publish the game in Finland. The game was published in Finland as a boxed set in July 2013 titled Myrskyn sankarit – Suurkuninkaan miekka. 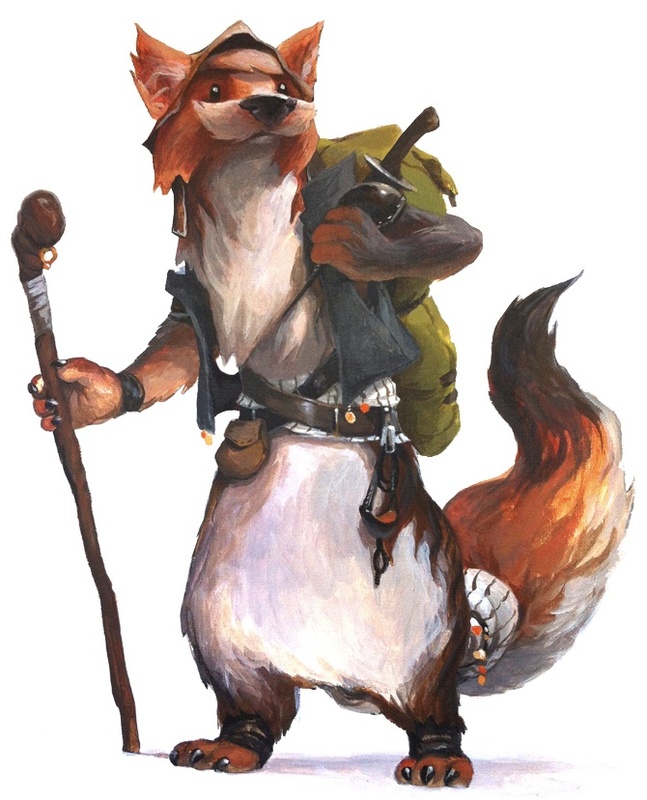 There is great demand for a beginner-friendly roleplaying game in one’s local language, because the offspring of the first generation of roleplayers are starting to reach the age of interest in roleplaying. This is not just true in Finland, it is evident all around the world where roleplaying games have been played for a long time. In Finland, the retailers have been very excited to provide their customers with something new for a change. Since September, Age of the Tempest – Sword of the High King has been available in book stores, game stores, hypermarkets, and department stores across the country. It quickly became the most successful Finnish-language tabletop roleplaying game since the 1990s. The game was published and distributed in Finland by the board game company Tactic. We are now looking for international and local publishers and distributors for Age of the Tempest – and the different local translations that we hope will follow it. 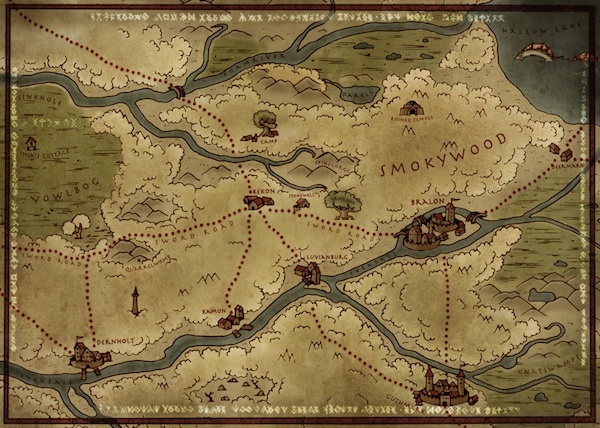 Map of game locations. Art and design by Mikko Ryytty. In a roleplaying game each player has their own character, whose story continues from play session to play session. In Age of the Tempest, characters can be knights, princesses, witches or even swineherds rebelling against the regime of the evil emperor. One of the players is a game master, who leads the storytelling and describes the setting and the events to other players. There are no winners or losers in a roleplaying game. Even if the character is in trouble, the player may enjoy herself immensely. In Age of the Tempest you solve riddles, flee villains over collapsing bridges, battle monsters, and meet many memorable characters. The Whiskerling character class. Art by Jari Paananen. The game has received wide attention in the press, and enthusiastic feedback from the players. Most newspapers, and some tv and radio stations have written about the new roleplaying game. It has also been written about in blogs, forums and social media. A curious incident happened with the English working title, which was a direct translation of Myrskyn sankarit. The dispute over the title ”Heroes of the Storm” was widely reported in gaming media, but settled amicably. We are now very happy with the title ”Age of the Tempest”, and the Blizzard game Heroes of the Storm is very successful. The Stallo character class. Art by Jari Paananen. a very nice game can’t wait for the release!